Mosabi is a Chartered Certified Accountant (ACCA-UK) as well a Certified Public Accountant (CPA-T), making him a registered member with both the Association of Chartered Certified Accountants (ACCA) in United Kingdom and National Board of Accountants and Auditors (NBAA) in Tanzania. 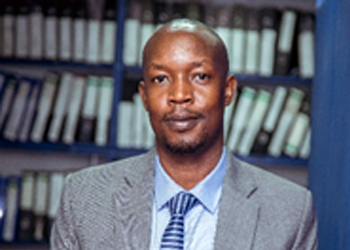 He is also a Registered Tax Consultant with Tanzania Revenue Authority (TRA) and holds a bachelor degree in Business Accounting and Finance. He has cumulative professional experience spanning more than eight years (8) in offering tax compliance and advisory services. He has considerable experience in both direct and indirect taxes i.e. Corporate Income Tax (CIT), Withholding Tax (WHT), Value Added Tax (VAT) and Personal Income Tax (PIT). Mosabi has provided advisory and compliance services to a range of clients in various industries, such as Consumer Industry Markets, Public Sector and Development, Telecommunication, Oil and Gas, Banking and Financial services industry.